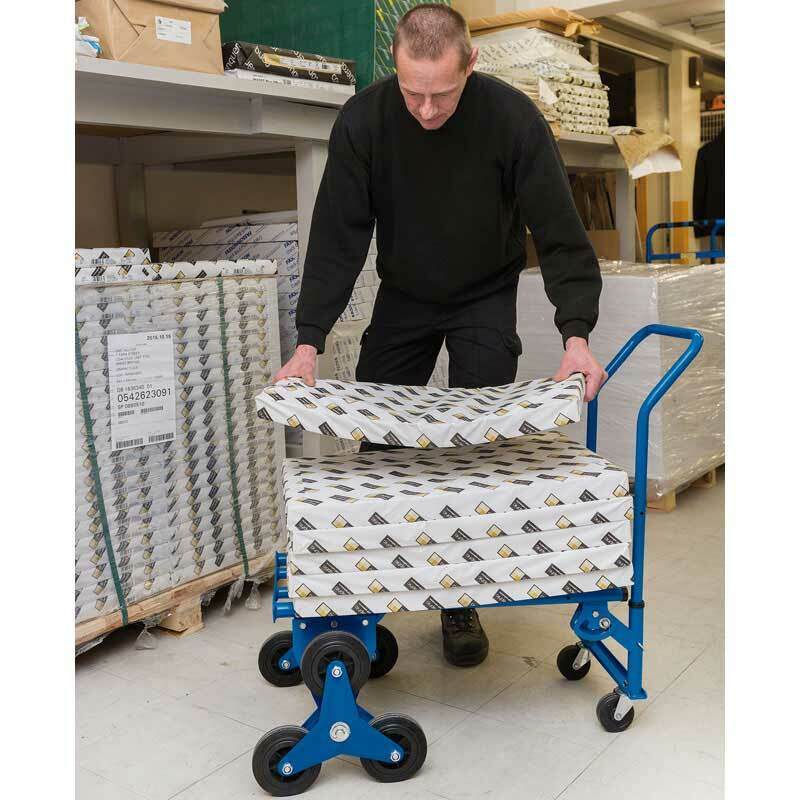 Transforming, heavy duty, stair climbing trolley with a solid toe plate. Manufactured from tubular steel and attached with a triangular three wheel axle that enables stair climbing. 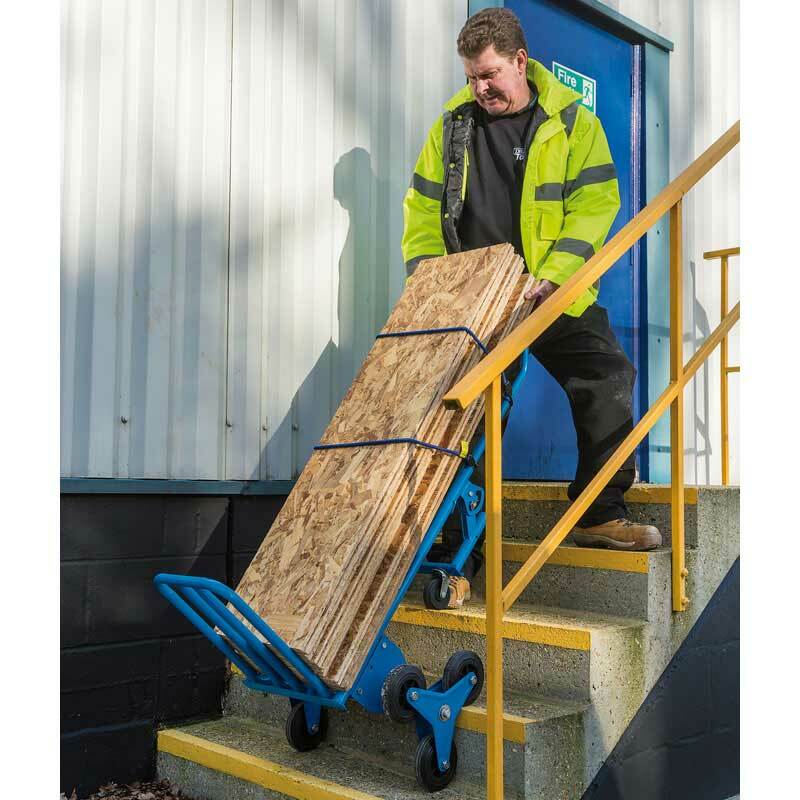 Each wheel is fitted with solid rubber tyres providing greater ease when transporting loads up and down steps or over rough terrain. 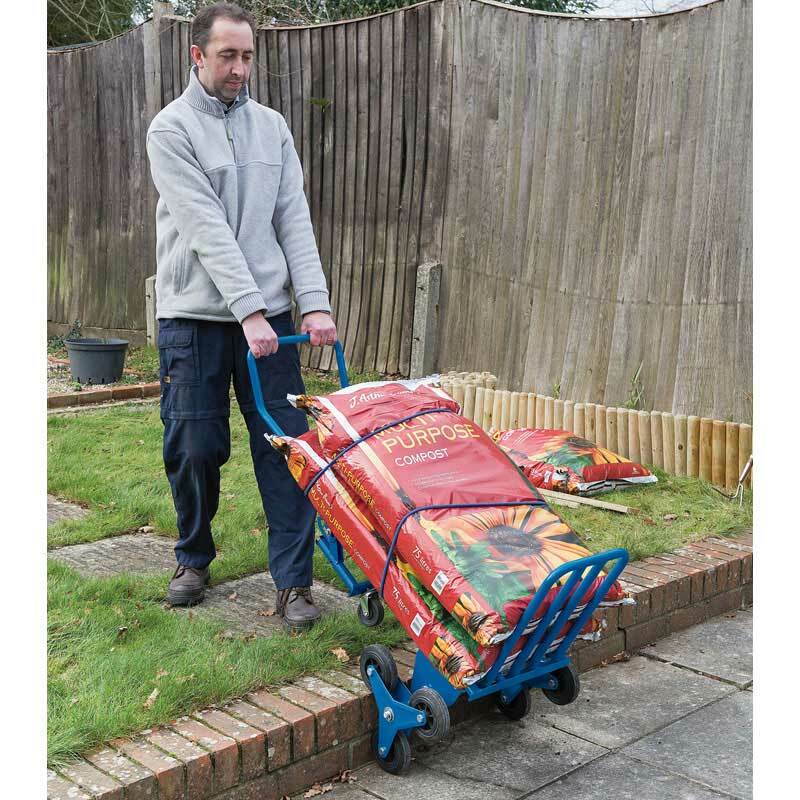 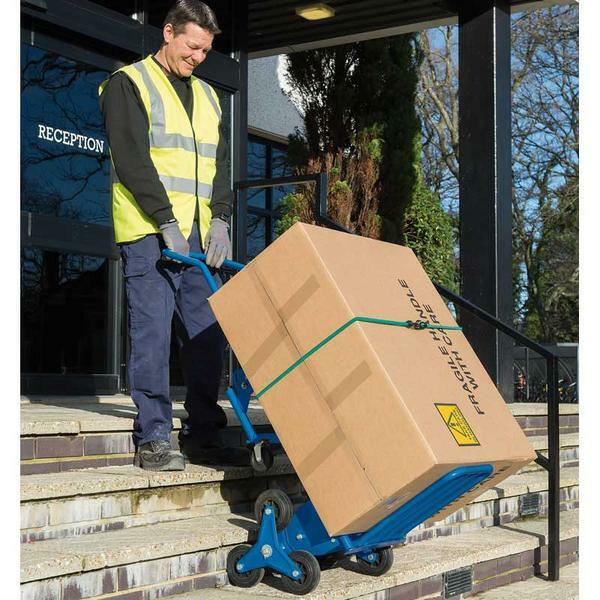 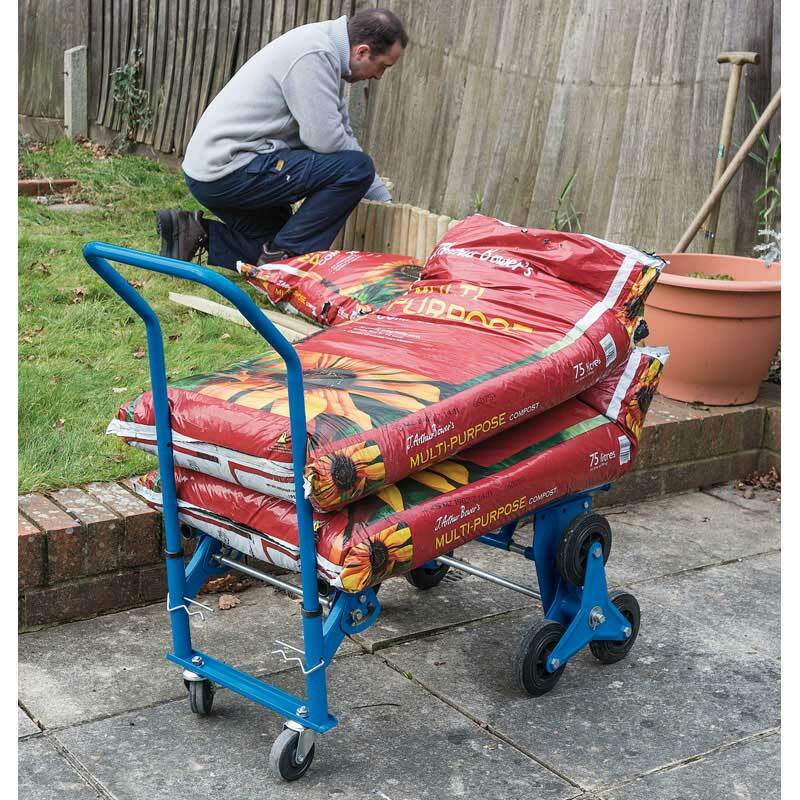 Its compact frame folds up for easy storage and transportation whilst also enabling different load carrying positions. 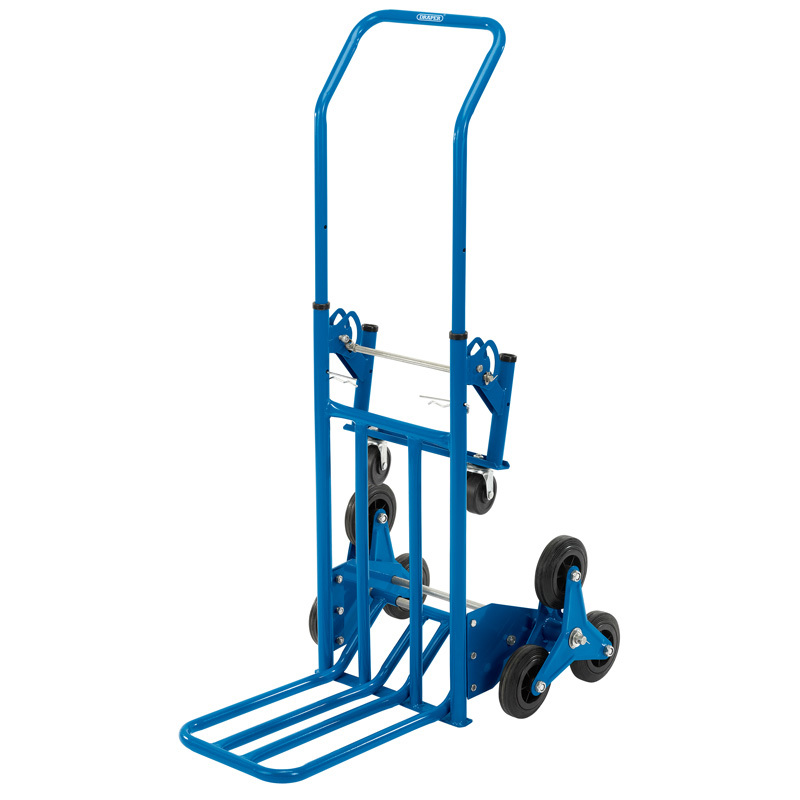 With a maximum load capacity of 150Kg.